So, this last summer’s garden was just on the south side in two small garden plots in Suisun, California. 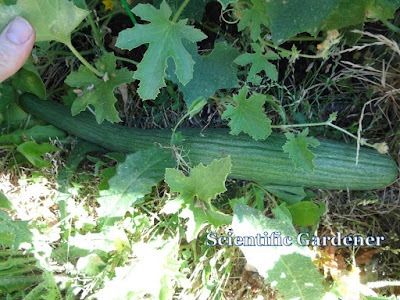 Although I was able to save seed from my last Long Dark Armenian cucumber harvest, the seeds were not high enough quality to last very long, so I decided to plant them to save the Long trait that I have been working to preserve. 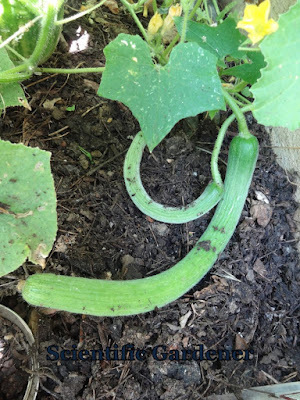 For my first planting I began with at least nine plants, but thanks to my almost nightly losing battle with large slugs I did have to re-start them at least once. 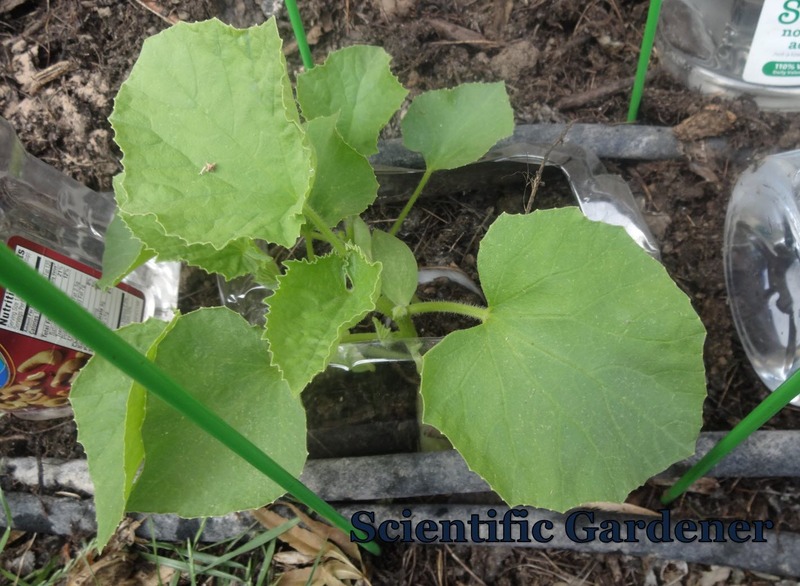 Eventually, with help from metal cans used as collars around each stem, I was able to isolate plants from slugs and have enough plants grow large enough to fend for themselves. 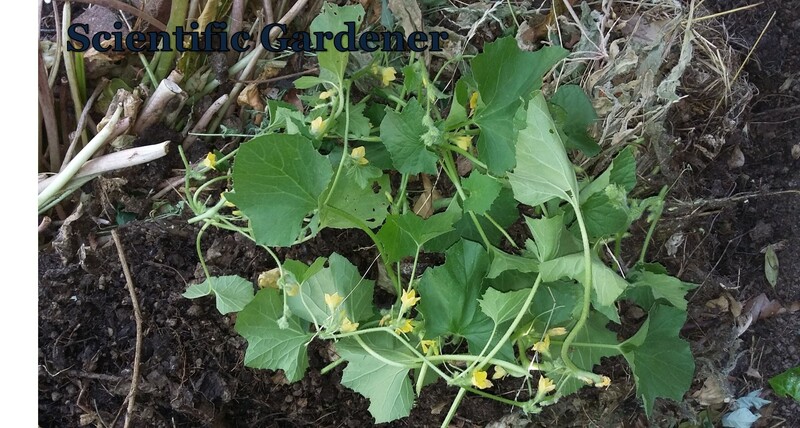 The only thing I did to prepare the native soil for planting was amended it with compost, a small amount of potting soil and a little of my home-made 15-30-15 mix made from things like bone meal, rock phosphate, greensand. Because of moving and life, I did not start planting until mid-April. Those of you who have read this blog before may be familiar with some of the reasons I like this kind of cucumber. Once you begin to grow Carosellos and Armenian-type cucumbers, it becomes difficult to want to grow other cucumber varieties – especially if you garden in a warmer climate. But one of the things I love most about the Carosellos is the very predictable growth pattern they possess. 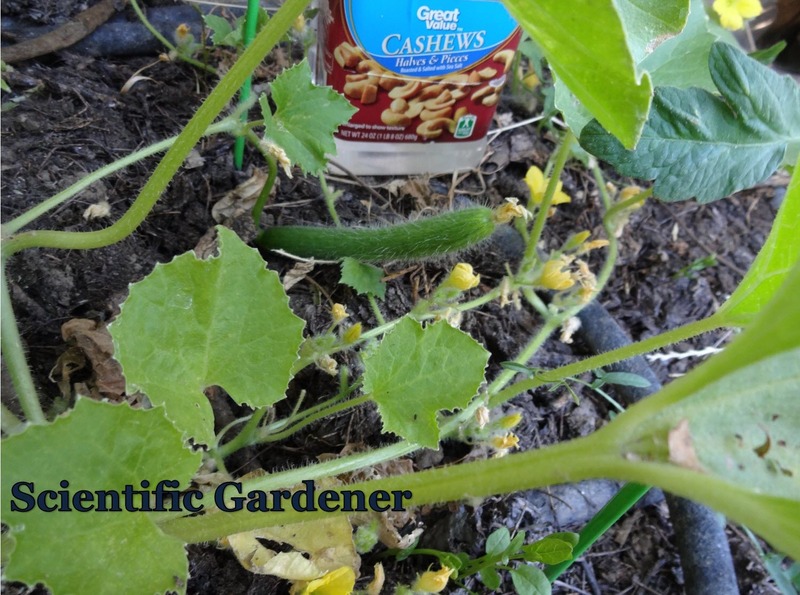 Each plant starts by growing a small bush, then grows out its vines while producing male flowers off the main vine. 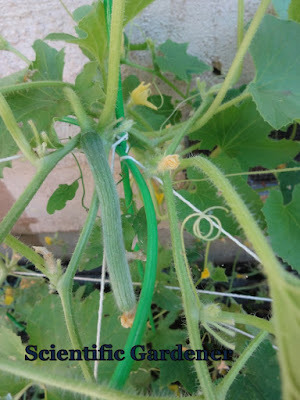 Then, as the secondary and tertiary vines grow, the female flowers begin to appear. Just like any other vegetable, the more growth you want out of a plant, the larger and longer the vines need to be to support that growth. Another nice long female flower. 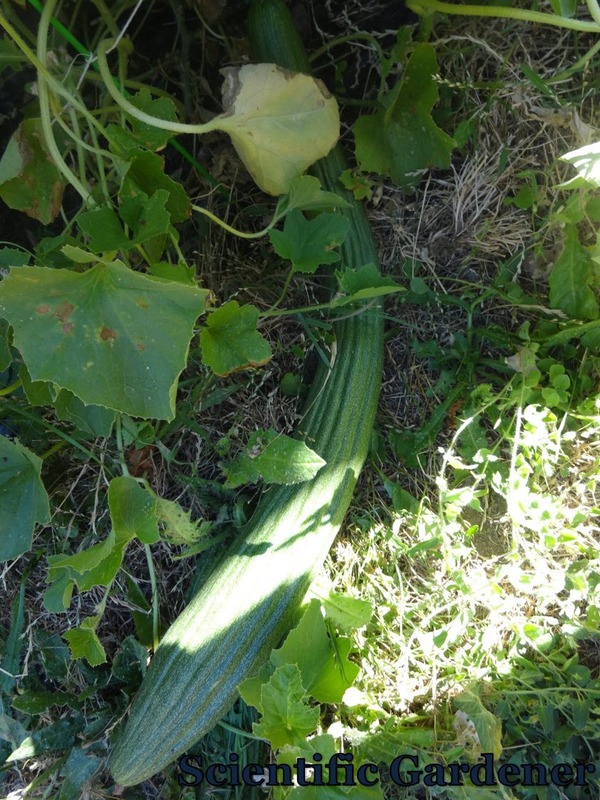 Another female flower, not as long. 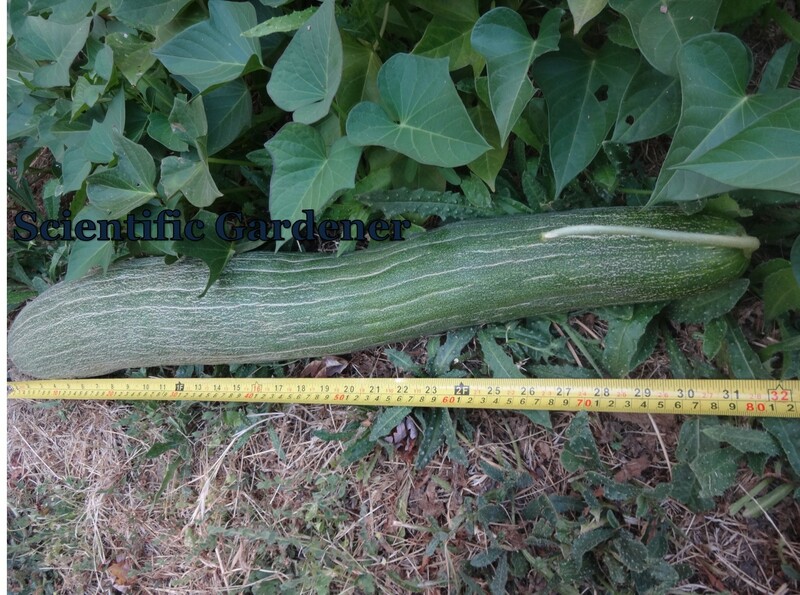 So, the main trait I am selecting for in this Dark Armenian variety I am growing is fruit length. Yes – there are some secondary traits that I am selecting for that are important to me, such as making sure that the cucumber does not grow too wide, before it gets to a suitable length and making sure that the cucumber plant itself is healthy. 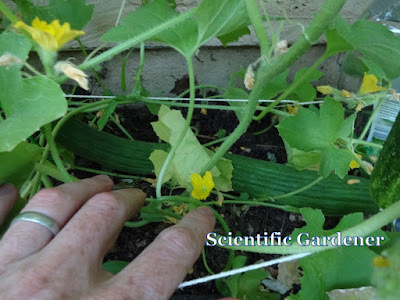 One advantage I have in selecting out these traits is that I am starting from a population of seeds that originated from only one self-pollinated cucumber grown among one type of cucumber (dark Armenian) that was isolated in my Tucson garden. 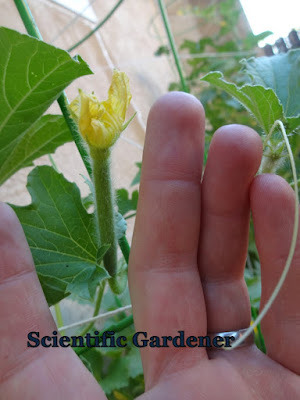 Following the pattern that this cucumber variety possesses, I just waited for the first female fruit to grow, then pull off any female flowers that do not look promising. Looking back on this second season, I should have pulled off any female flowers that did not grow past the length of my index finger (3.5 inches or almost 9cm). What I mean by this is that in order to select for the trait of length a standard benchmark must be set. 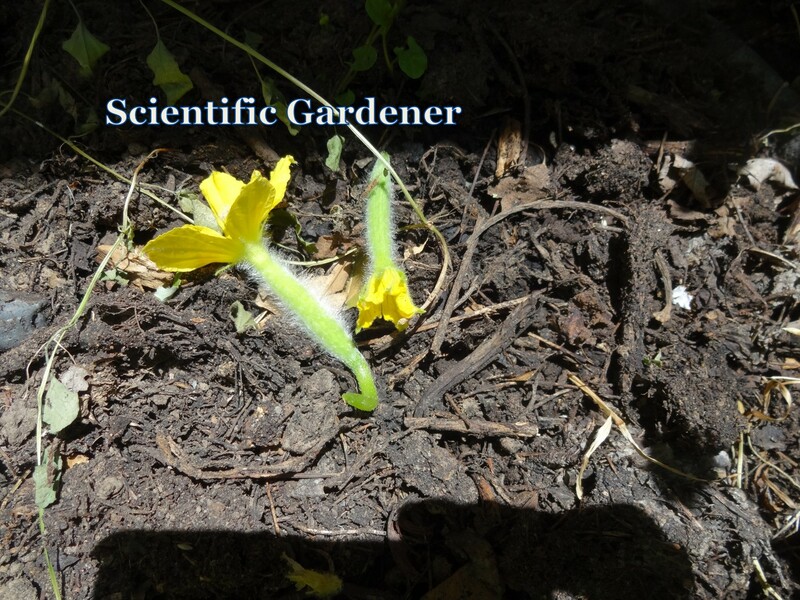 The best time to set this trait for cucumbers is when the female flower first opens. 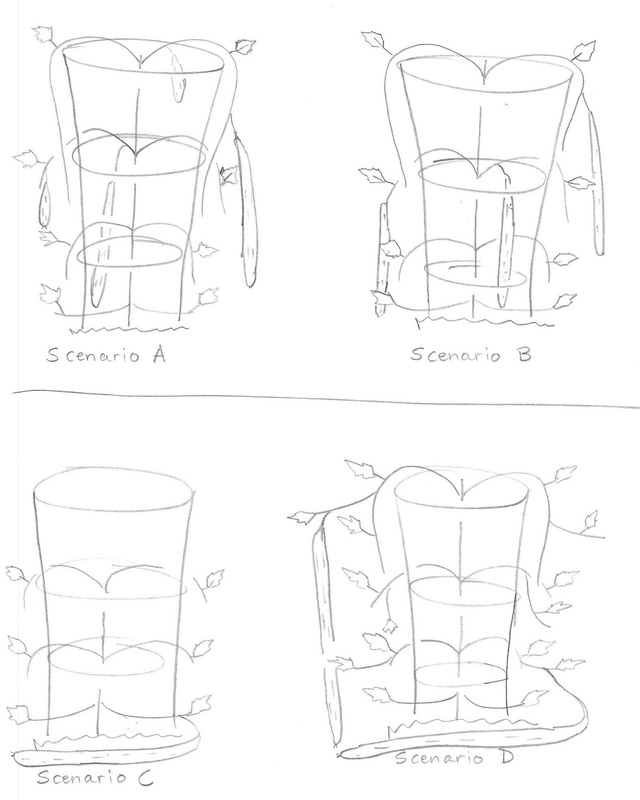 For what I am selecting, if the fruit of the female flower is below a specific length, keep it, while if the fruit of the female flower is small, pull it. Over time, most of the dark Armenian are hopefully selected for medium sized fruit (that is what I generally select for). 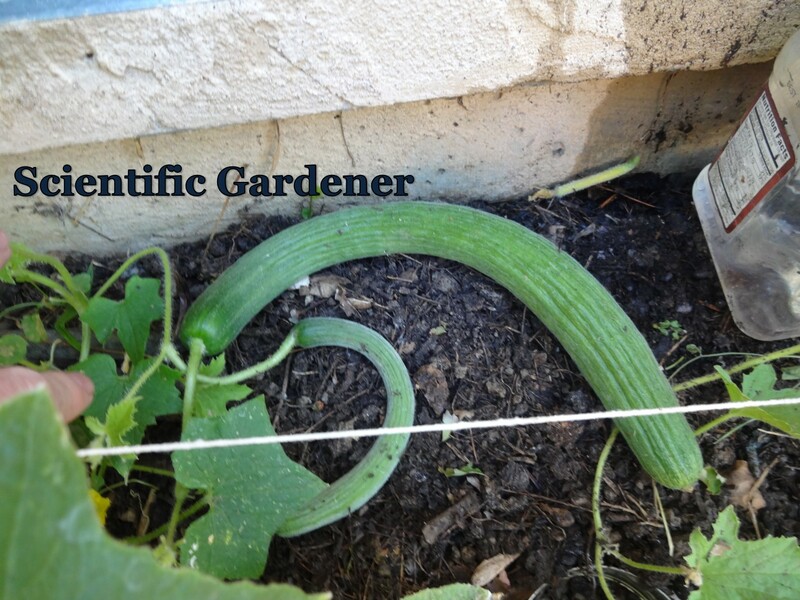 However, with this specific strain I am selecting for longer ones. Some nice fruit, beginning to set. One thing to note is that although fruit selection is not essential to saving seed, it only requires a few generations to shift genetics of a landrace enough to completely change a vegetable. This is often referred to as “genetic drift”. For example, let’s say I am dealing with the regular white Armenian cucumber variety and I am a farmer’s market gardener. 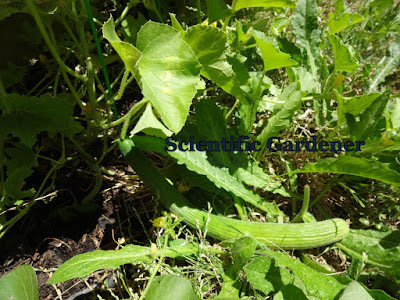 My main purpose would be to remove from the population of cucumbers that I would save for seed the cucumbers that are most marketable – because they would sell best. Traits like straight, medium sized, think and minimal scarring would be most marketable. 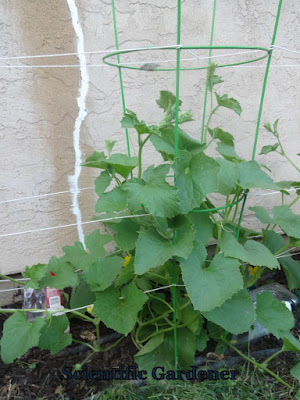 So, if year one I selected marketable fruit for selling and left the rest for growing to seed by year two I would be left with cucumbers that were less marketable. By year three and four, I would have something completely different than what I started out with. 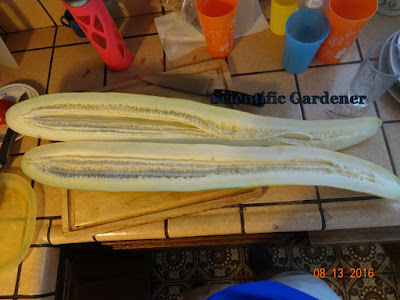 By taking out all the straight medium sized, healthy cucumbers, over time my seed saving will produce odd-shaped, scarred, wide, ugly cucumbers of varying length. This is why fields that allow customers to pick their own produce should always scrap the seed that comes from the left-over fruit. Gardeners who want to save seed should really decide what trait they are going to select for before even planting the first seed of that season. 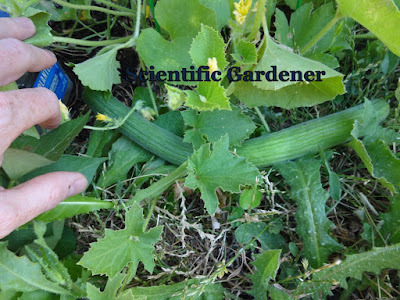 Selecting for a long cucumber is not as easy as one might expect. It takes attention to detail throughout the whole lifecycle of the cucumber plant. Let’s say that cucumber plant A produces both short and long cucumbers, while cucumber plant B produces thin medium-sized cucumbers. 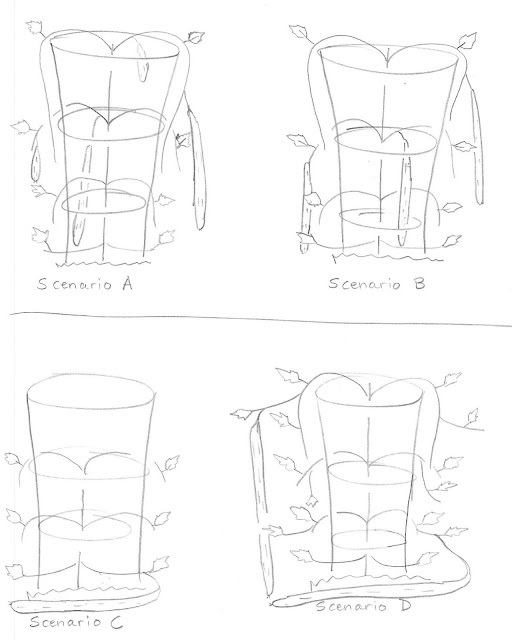 Though A would be preferable to B in the short run, the consistency exhibited by B may turn out to be better in the long-run. Another scenario we could encounter is cucumber plant C, which produces long fruit earlier (on the secondary stems) while cucumber plant D produces long fruit later (on the tertiary stems). Which is better? 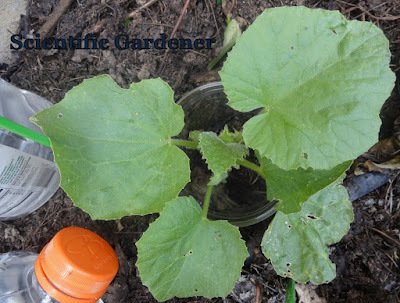 Many people would prefer cucumber plant C (earlier is better – right?) 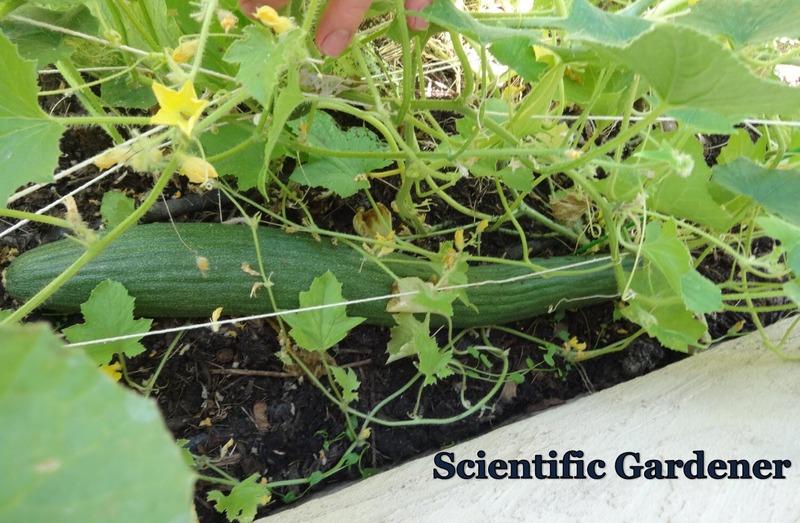 but thinking about the goal, the gardener will discover that if she desires the fruit to be longer, it is better if the female fruit is produced later in the season. 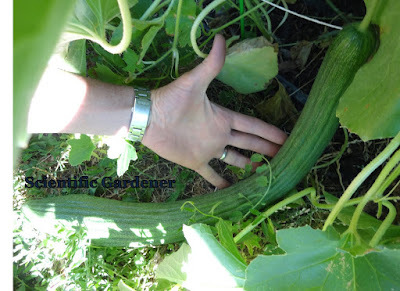 I really like them when they are long and thin - the texture is better when thin. 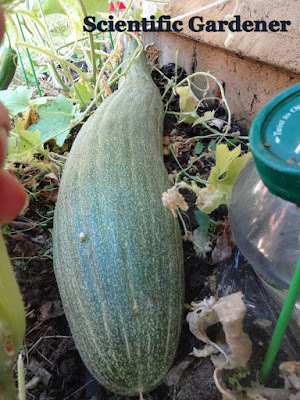 Perhaps the same fruit - texture degrades as it begins to set seed. 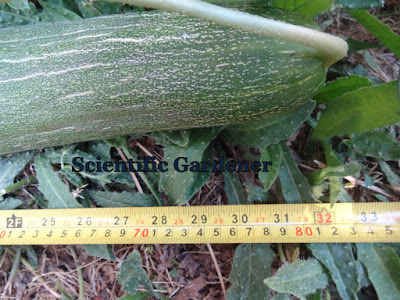 The reason why D is preferable is because the greater capacity the plant has to grow fruit within the short window of fruit growth, the longer the fruit will grow. 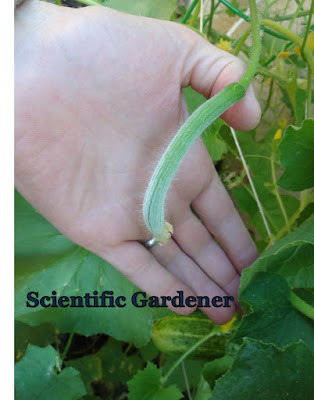 Plants tend to signal the fruit to go into seed development mode when they are under stress – so if a lot of growth is putting a young plant under undue stress, the fruit will stop growing in length and start growing in width. Thus, healthy, yet older plants that produce less long female fruit later on is the ideal selection scenario – something I will continue to look for in further generations of this Dark Armenian strain. 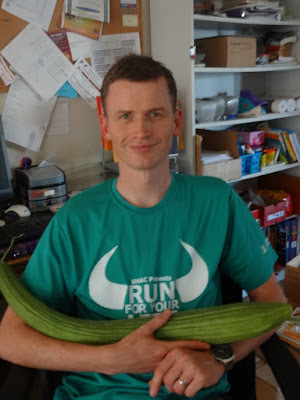 Me with this cucumber ready to harvest. So, it took most of the season to find what I was looking for. 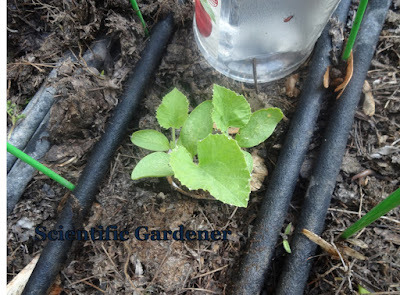 In the process, I got rid of the less vigorous, healthy plants to allow the healthier plants to grow. 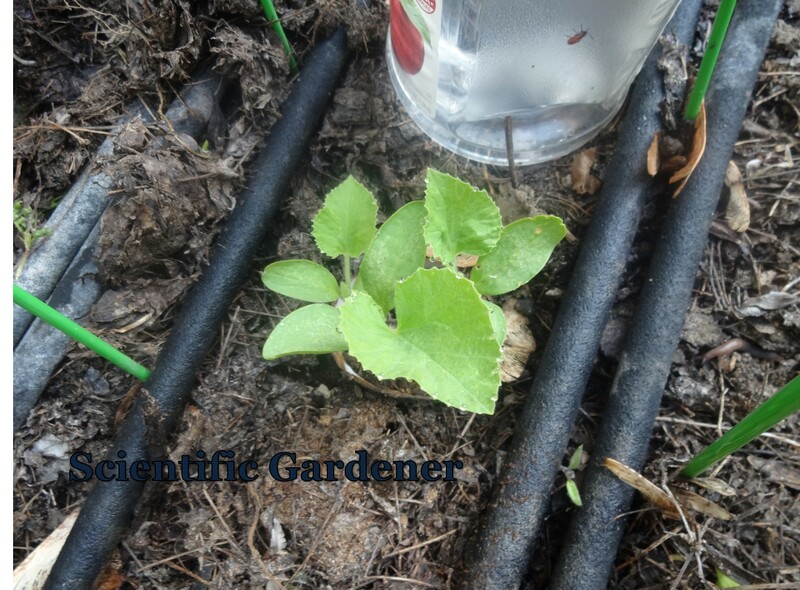 If you are thinking of removing a plant, it is wise to mark it with a marker along the whole stem (if it is intermingled with other plants) to ensure that you do not cut down a plant that is supplying life to a desirable fruit. After removing weaker plants, I started to look for the female fruit. There were a couple of longer female flowers that did not set and there were a couple female flowers that I found on plants I had already trimmed (future note to self – never cut at the ground level until you mark the whole plant). 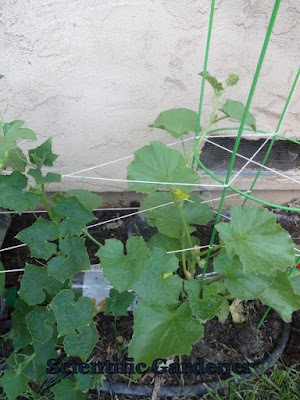 The rest of the fruit that managed to live through my mistakes turned out mostly to be normal Dark Armenian cucumbers. Selection can take years, and at times gardening is more an exercise in patience than playing in the flowers. What do we have here? It looks promising. Sure enough. This cucumber is growing pretty good. 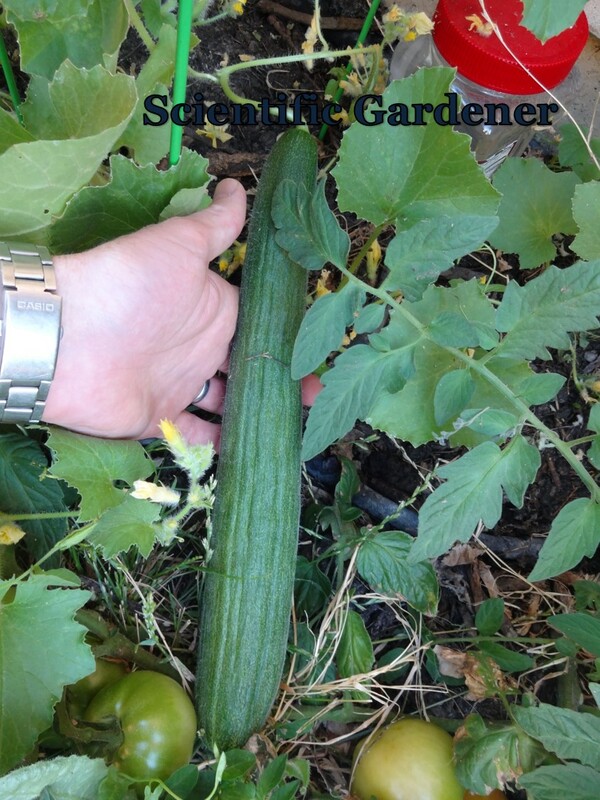 In the end of my second year of selection, I ended up with two cucumbers that grew to a moderate length. 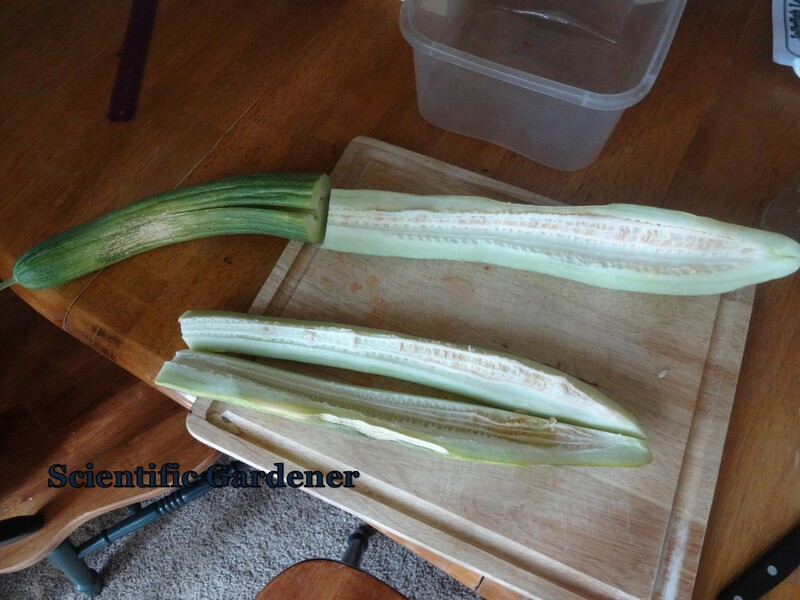 Although I did not measure the length of the first one, the second one grew to a decent length. By selecting for length over multiple generations, I hope to be able to produce a cucumber variety that produces not only a few long cucumbers, but to develop a stable strain. My goal is not for a world record, but rather to supply a reliable landrace of long, thin and marketable cucumber dark Armenian cucumbers. 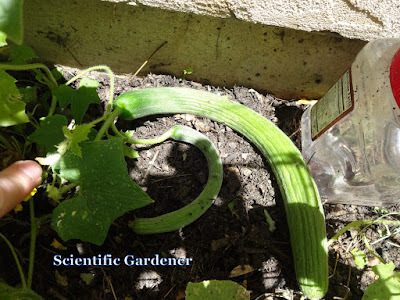 Saving seed of my L2 dark Armenian cuc. Note the large butcher knife.